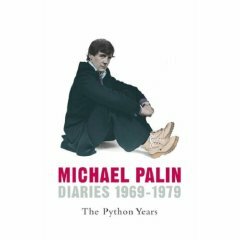 I have recently been given a copy of Michael Palin’s Diary the Monty Python Years… What a great read. Not only has he kept s diary of his life for such a long period of time but it is so insightful into the man and moment when all this excitment took place. Even if it is just the mundane ‘normal’ this that happen like your car breaking down or a child growing up or you write some fantastic comic sketch. Well that is normal to some people! The interrelationship the Pythons is so rich and varied. The way Michael writes it – in a semi detached, viewed with hingsight makes it more like we a a voyuer looking into the lives shown not a person who was there and part of it at the time. I think this is why I also like to read Blog – like Wil Wheaton *and John Scalzi these are real peopl living real lives but doing fantasic things (writing, actor-ing, etc) and we get to see them as both real people and as the fantasy. I mean by fantasy, the unreal pedistle that our minds put on to these people be it the parting superstar – or the rock god – or the writer who lives this greater then our dull lives. It is both satisfiying that they are like us but at the same time it gives us hope that something better is out there. Be that a convention where YOU are the guest who answers questions, or the person who was chatting with so and so the other night. Something to think about me thinks! *Is it weird that as I link this Wil is talking about John… just something to think about! !